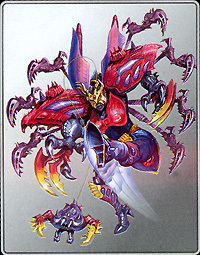 MOTTO: "I use deception for the purpose of good -I use it a lot." 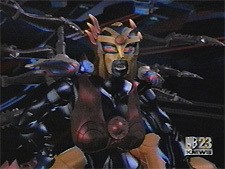 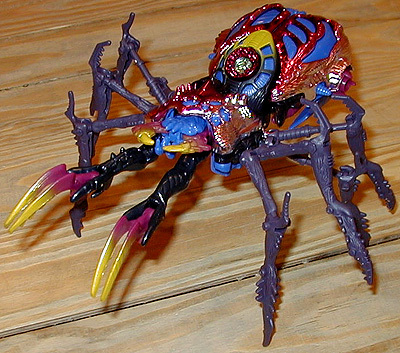 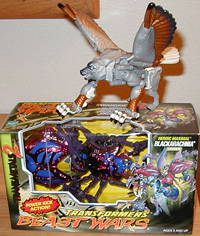 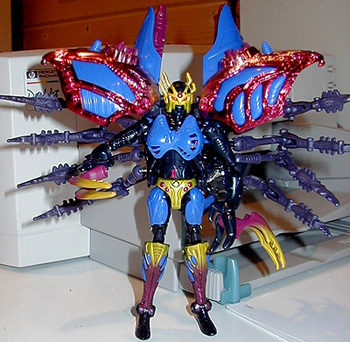 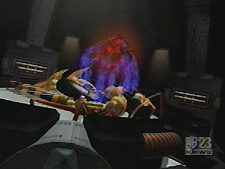 Stealing Megatron's mysterious new technology, Blackarachnia -Blackarachnia, black rose of the Maximals -succeeded in altering her Maximal protoform into a powerful Transmetal 2 structure. 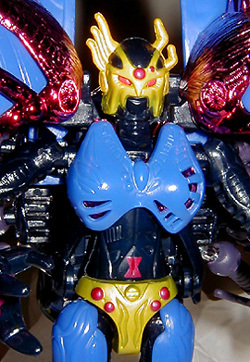 Despite her Predacon pride, she detests Megatron and fights for now with the Maximals. 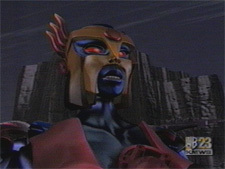 The definitive femme fatale, she despises life's pleasantries. 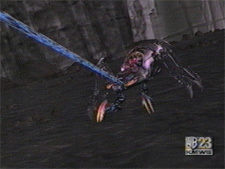 Fires strong venom pinchers that operate as a paralyzing claw, retrieving enemies from up to 100 meters. 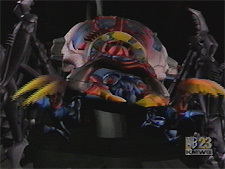 Electro disrupter housed in rear segment casts illusions altering her physical placement and appearance for up to 5 minutes. 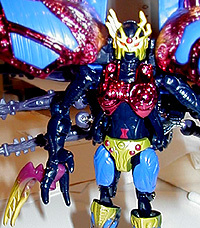 In robot mode she packs a deadly roundhouse kick. 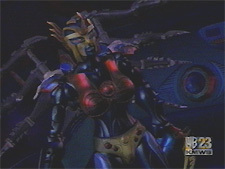 Generally concerned with her own self-preservation, Blackarachnia will at times astound with heroism, but cannot be fully trusted.